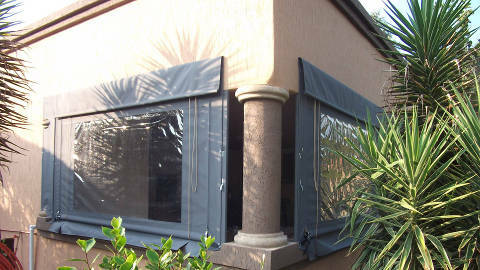 Rope and pulley operated outdoor blinds are the most common operating system type. They can be very quickly raised and lowered with nominal effort. Duramaster® Outdoor refers to pulley operated blinds as "drop blinds", as they are lowered towards the floor by means of a controlled release of the rope, allowing the blinds to "drop" towards the floor. This is the only operating system compatible with zipped outdoor blinds. Negatives: Not all clients find the presence of the rope system aesthetically pleasing after the blinds have been rolled away for storage. Positives: Speed, ease of use, can operate blinds that are too heavy for crank-gear roller systems. Manual crank-gear operated outdoor blinds are the second most popular choice of operation in our industry. This system is much more discreet and aesthetically pleasing, and can be motorised at a later stage. Patio blinds using this system are known as "roller blinds". As there is no friction from ropes the blinds also suffer less wear-and-tear and therefore have longer lifespans. 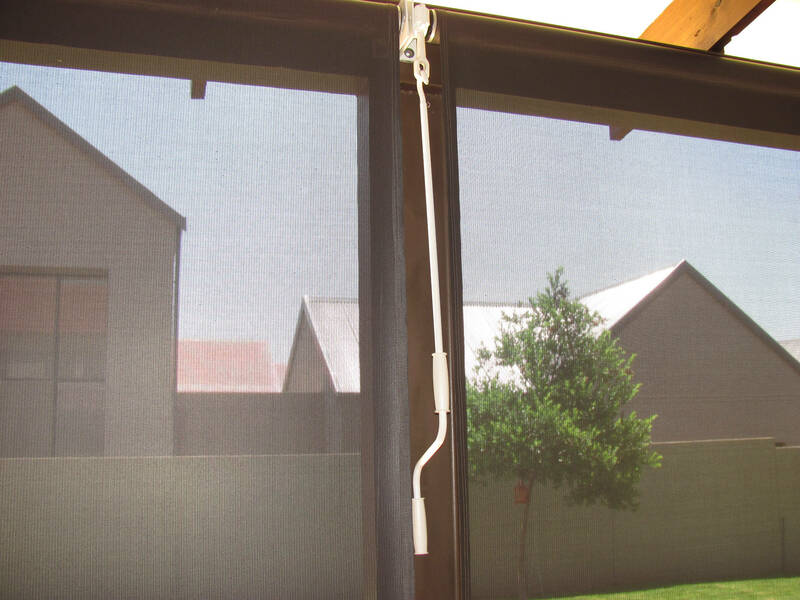 Duramaster® Outdoor offers frameless, guided or sidetracked roller blinds. 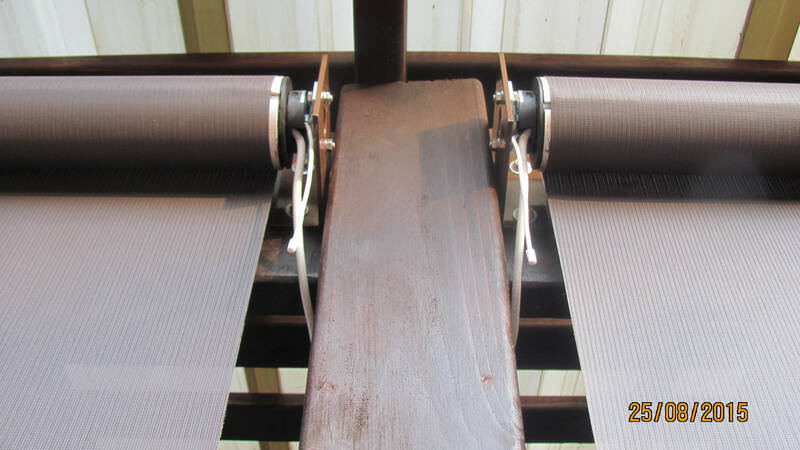 Negatives: Although manual crank-gear operated roller blinds require less effort at any given time to operate, operation takes much longer than in rope-and-pulley systems and ultimately more energy may be expended as a result. Positives: Uses up very little space when not deployed, aesthetically has less creases in fabric. Motorised roller blinds offer the same positives as the manual crank-gear system but is operated remotely. They are more discreet than the crank-gear system as there is no need for a crank handle, and as they are motorised they take almost no effort to operate at all. Negatives: Operation relies on electricity being available unless you have chosen our manual override option. Incurs extra expenses insofar that an independant electrician must carry out the connection between the roller blind motor and your home's electrical DB-box. Positives: The main positives for this system are it's convenience, discreet aesthetics and reduced wear on the roller blinds.